The Clemson University Football Program Cover Collection comes from the University Archives, and features 198 unique cover layouts of both home and away games. 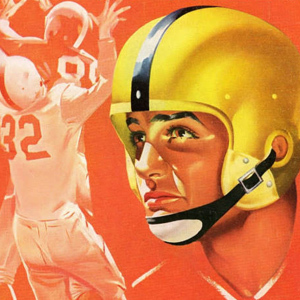 Typical of sports programs, these covers are the combined efforts of illustrators, graphic artists and printers that worked with the University Athletic Department to create these souvenirs, which contained biographical information on coaches and athletes, as well as statistical information about each team. While most programs in this collection are from home games, there are also some programs from away games and bowl games. The covers of these programs depict Clemson’s Tiger mascot, caricatures of rival mascots, coaches, players, and game theme days.